Robert Durwood. 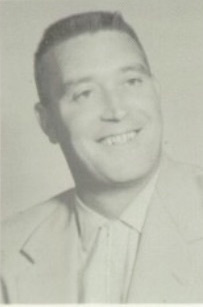 Baar, 82, of Fullerton, a retired teacher and coach, died June 8, 2006, of natural causes in Fullerton, CA. He was born March 11, 1924 in Windom, Cottonwood County, Minnesota. He served in the U.S.Marines 4th Division from July 28, 1942 to November 15, 1945 in World War Two and landed on Okinawa. He leaves a daughter, Lynn Anderson; sons Richard and Doug; a sister, Donna Otto; and 5 grandchildren. Services: 10 a.m. Wednesday, Riverside National Cemetery. Arrangements by McAulay & Wallace Mortuary, Fullerton.